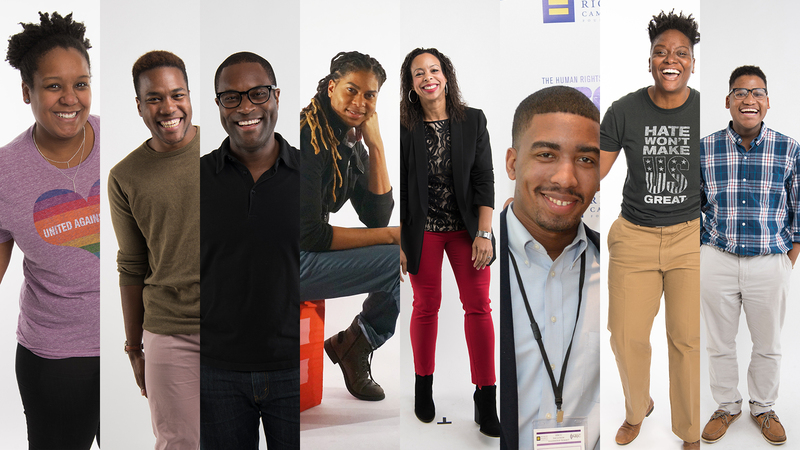 As HRC honors justice warriors throughout Black History Month, we want to highlight some of the incredible individuals within our organization that drive our work forward at the intersections of LGBTQ equality and racial justice. Through her writing, Lorde eloquently captured the depth and richness of the crossways of those identities and experiences. She described herself using words like “Black, Lesbian, Mother, Warrior, Poet,” a testament to the strength of her enduring legacy. “To talk about the intersectionality of my identities feels almost utopian. The worlds I navigate are often unsure of how to engage me in the wholeness and integration of my identities, so I often experience them as if a swinging pendulum - moving in and out of each depending on my context. It is not often that I feel seen and engaged as a Black lesbian in its fullness: that is being Black, female, and same-gender loving in the same space, at the same time. Yet, it is who I am and I can not separate my experiences. We have a lot of work to do to create inclusive community spaces that truly engage and honor diversity, especially when it comes to Blackness. “My queer identity cannot be separated from my real and lived experiences as a Black woman. We live in a world that constantly tries to separate us from ourselves, to divide me into groups and subgroups that only focus on one aspect of who I am. To live and work at the intersection of my experiences as a queer Black Woman is to know and trust that all the pieces of who I am show up in every space and are needed in every space - whether that’s work, the local coffee shop or the general assembly.